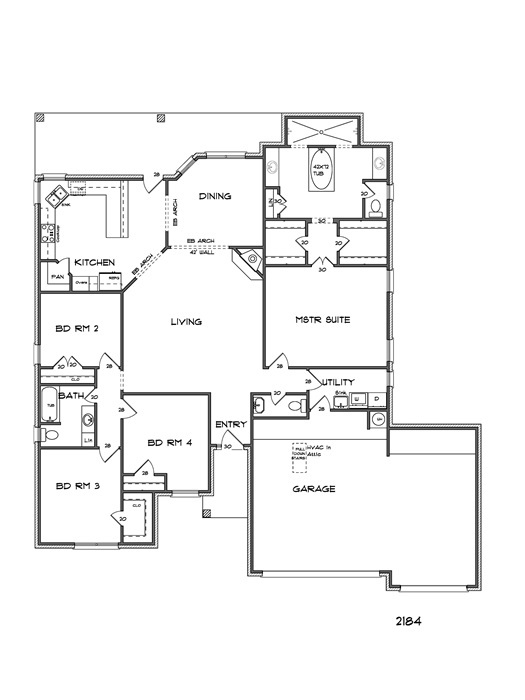 Elegant living at its best in Carothers popular Caesar floorplan. All the extras and more from beautiful Ceilings with Lighting in the Living Room and Master to Granite Counters, Slate Steel Appliances and Double Ovens in the Kitchen. All Baths have Marble Tubs and Counters. Master Bath has a Jetted tub, Double Shower and Walk-in Closets. Landscaping, Privacy Fence, front and back Sod and Sprinkler System are all Standard in this Carothers Home. This Caesar plan features a spacious living room with a corner, stone fireplace. The kitchen has granite throughout with a tiled back splash, Slate steel appliances and a large pantry. A private master bedroom offers a large, luxurious ensuite. The ensuite is centered around the large jetted tub and a double entry shower with dual shower heads. Separate vanities and large his and her walk-in closets complete this grand ensuite. To complete this home, a large covered patio, wood privacy fence, sprinkler system and sod are included. Come by and visit us and see for yourself the craftsmanship of Carothers Homes. Disclaimer: Information presented on this website is considered to be reliable. Carothers Homes, however, cannot absolutely guarantee the accuracy of prices, availability, floor plans, elevations, home features and other information. All such are subject to change by the builder without notice. It is suggested that before visiting a property, you contact Carothers Homes to verify the information. Carothers Homes is a family owned and operated company that has specialized in putting quality and value into all of our homes for over 30 years. We take pride in every home we build and would like to personally invite you to become part of the tradition that Carothers Homes has established.